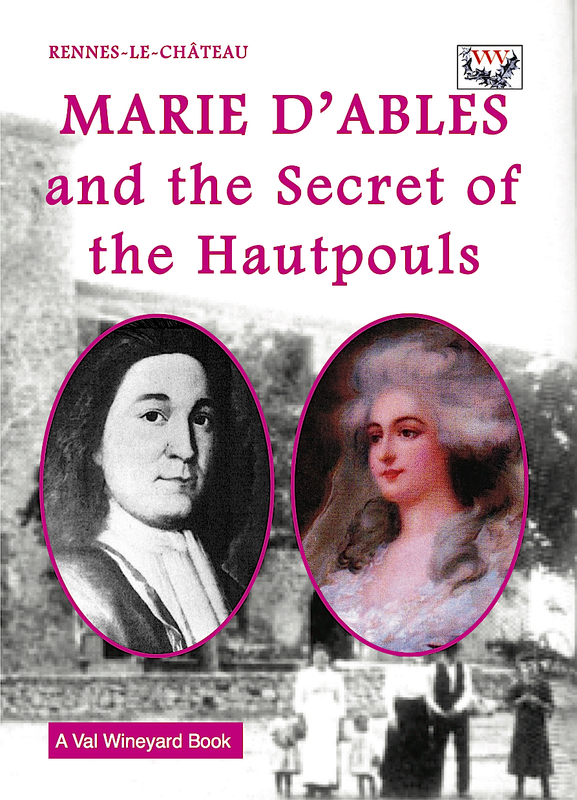 The little-known mystery about an aristocratic family . .
Marie de Nègre d'Ables d'Hautpoul (to give her her full name) came from the region to the south-west of Rennes-le-Château called the Pays de Sault, a remote upland region that was one of the leading kingdoms of our region in medieval and Cathar times. 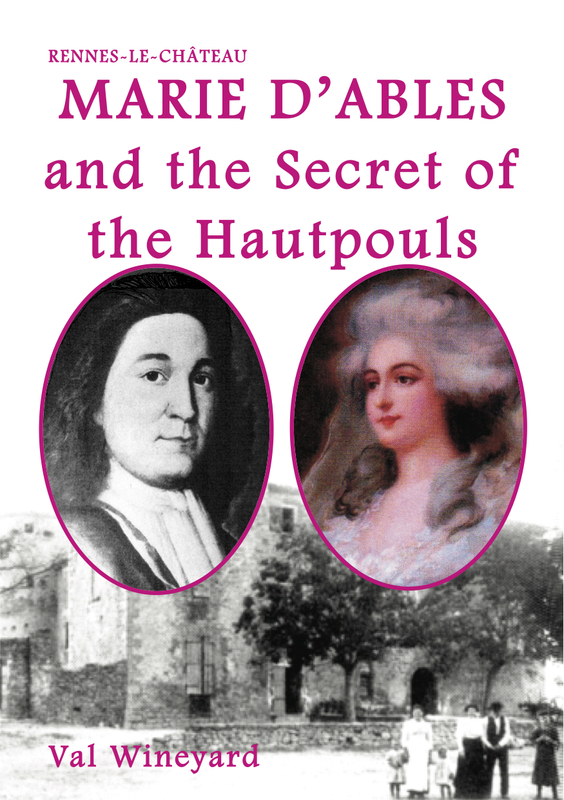 She married François d'Hautpoul, the Lord of Rennes-le-Château, in 1732; the Hautpouls were the oldest aristocratic family in the whole of France. They came from the village of that same name Hautpoul near Mazamet and were of 5th century Visigothic descent, maybe even from Ataulf himself, "the king of the Black Mountain." The story is full of mystery. Even before the marriage of Marie and François the drama began - did Marie's uncle and guardian really murder a priest? She was an orphan so François her husband-to-be rescued her from that situation, and swept her off to Rennes-le-Château to marry her within three days with many local dignitaries as witnesses. But once living in Rennes would they be compatible with the difference between their ages? We don't even know if they married for love . . . But if Marie was not in love with François, Val Wineyard certainly was! She found him a fascinating man, and his secret religious beliefs even more so. Her research into him and his famous family sent her relentlessly down the arches of the years into a past that mirrored the whole heretic history of the ancient region ruled from Rennes-le-Château itself. One hundred and twenty years after Marie d'Ables died in the château Hautpoul, the priest Bérenger Saunière was sent to Rennes-le-Château - on a secret mission? - and what he discovered in the crypt about the Hautpouls led to him digging up the graveyard, and from there the story got REALLY spooky . . .
Did François believe that Jesus survived the crucifixion? 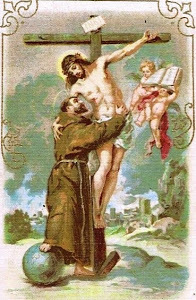 François d'Hautpoul was named after St. Francis himself, here shown helping a living Jesus down from the cross. 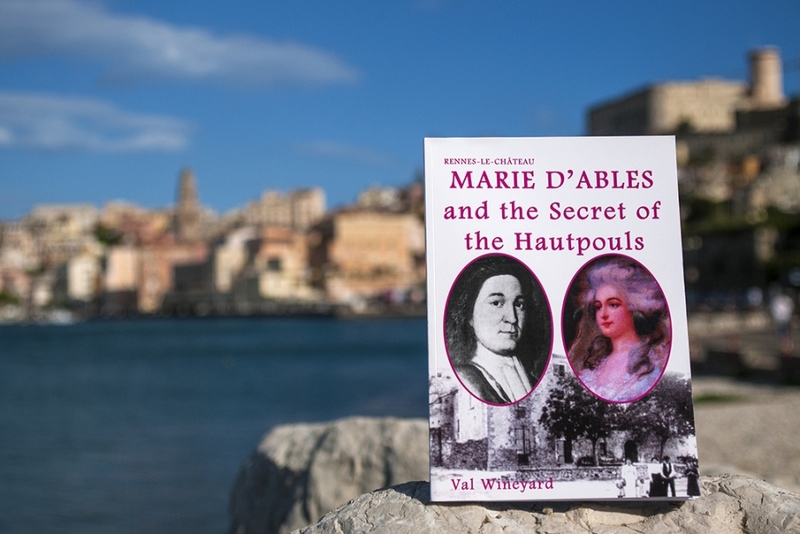 "Marie d'Ables and the Secret of the Hautpouls" has over 100 hundred pages, illustrated with colour photographs, many original. To use a Paypal button - it is important to click the little arrow first to find your payment option according to where you live. Prices include postage which vary for different regions. Priority post within France is higher than the special book rate for Europe, which explains why the "Europe" price for all European countries except France is lower. However, all books are sent priority to the States for security reasons. The United States price includes all countries outside Europe, such as Canada and Australia. Yes Tony, we are doing it!